Renowned for its sophisticated character, charm and peaceful local atmosphere, Karon beach is the second largest white sanded beach of the island stretching over three kilometers in length on the West coast of Phuket island, Thailand. This tropical paradise is also host to Karon famous and exotic gourmet foods, and restaurants, playing hot and cold tricks with your imagination and satisfying the taste buds. Its local traditional Buddhist Temple situated at Wat Suwan Khiikhet accommodates Karon night market, lush in fresh fruits, local dishes and great shopping. The Proud Karon Residence was designed to achieve significant rentals and capital growth it maximizes luxury and unique modern living. The tropical and contemporary development has combined a fusion of colors and optimum natural lighting and space, generous in both its 1 and 2 bedroom units, using a combination of the highest quality materials. A blend of original stone the finest teak woods and tiling with a dash of European and local materials ensuring the finest of finishing touches. The aesthetics and design concept are a true appreciation of local heritage and culture. The Proud Residence Karon Beach will be provided with ultimate facilities and infrastructure for a comfortable living featuring a wide range of resort facilities. 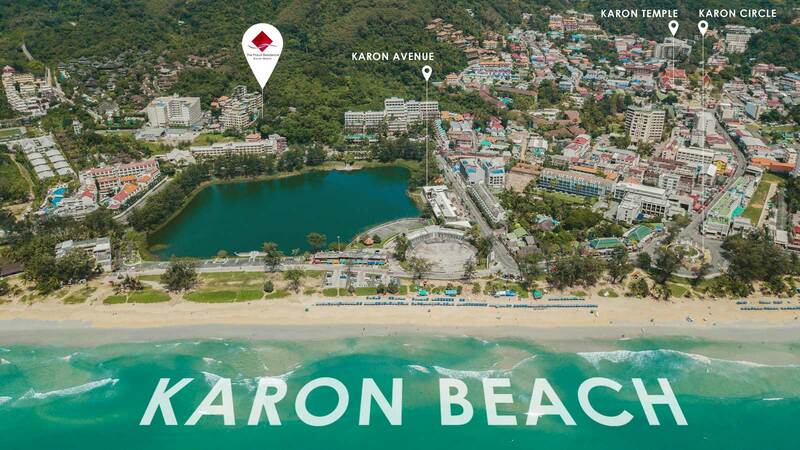 The Proud Residence Karon Beach is located in the heart of Karon with in short walking distance from white sandy beach and azure waters. Such location allows to enjoy the beaches and every day charming sunsets, visit luxury parties at popular beach clubs around, enjoy internation cuisine restaurants or visit small homely bakery and cafes all around. The Proud Residence is surrounded with convenient stores, seven-eleven, Tesco Lotus Express, taxi point, travel agencies, bank and exchange counters. Presale Price offers an Excellent Investment as prices will increase in this excellent location.